This last weekend our adult kids cross examined us about when we had last done something with just the two of us as a couple. As a result we ended up taking our own hike in Glacier Park, something we had not done in years. This got me thinking about the ever increasing amount of evidence demonstrating how critical relationships are to health. I put two and two together. More attention should be given to relationships in the context of health. Primary care physicians including Ob/Gyns should include relationship assessment in their broader health history. They should be able identify serious problems and refer patients for couple’s counseling or whatever it is they need to correct the problems. All this can happen in the context of the doctor’s visit. But discussion about the health of our relationships should be a common one, because it is important. We talk about kale, yoga, cardio and even mindfulness. Why shouldn’t the conversation extend to interpersonal skills and healthy relationships ? I have spent the last few days reviewing material on the subject of relationships and what can be done to make them healthier. This extends beyond partner relationships to friendships and family relationships. The core skill set in all cases is the same, with variations depending on the relationship. Two particular sources were the most helpful. Effective therapists must bring out the emotions of each partner. Effective therapy must include the teaching of good communication skills. This includes active listening and responsible “I statements”. Effective therapy must focus on strength and build resilience. My second source led me to the famous Gottman Institute founders John and Julie Gottman. 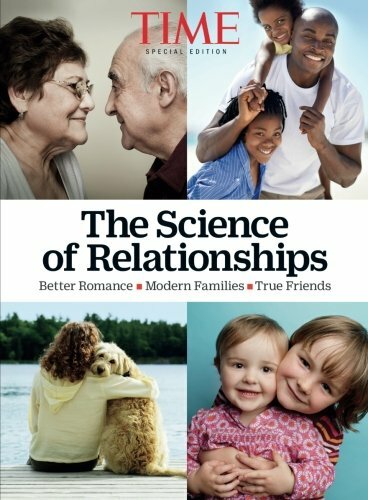 They provided a piece in the recently published " Time Special Edition, The Science of Relationships" . As lay reading goes, it is superb. I picked mine up in Costco. In it, they discussed their work and the “ Seattle Love Lab” where they evaluate and treat couples. 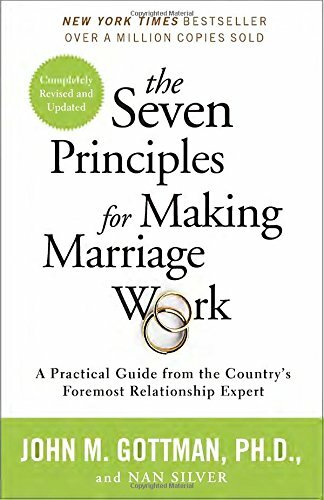 They also referred to their most recent book, "The Seven Principles of Making Marriage Work”. In this book they present the distilled result of their observations of hundreds of successful “ emotionally intelligent” marriages. They too identified the common patterns in these relationships and have presented them for our consideration. You could map each of these lists uno the other and find that they line up pretty well. I find it interesting that both research groups chose to study what worked, and that the features held true over large numbers of couples and long periods of time. Finally, it seems that the social sciences are catching up to the medical sciences in prescribing evidence based treatments. I encourage you to delve into this literature, regardless of the type or the state of your relationships. Check these valuable resources out at your local library, your local booksellers, Amazon.com, or even Costco.